Sweet Freedom is a great way of reducing the amount of calories you consume, because it has 25% less calories than sugar and you only need to use half as much. As it also has a low GL (Glycemic Load) it’s a good choice for diabetics and the weight conscious. Plus with a following including the likes of Raymond Blanc you can rest assured that it tastes great! 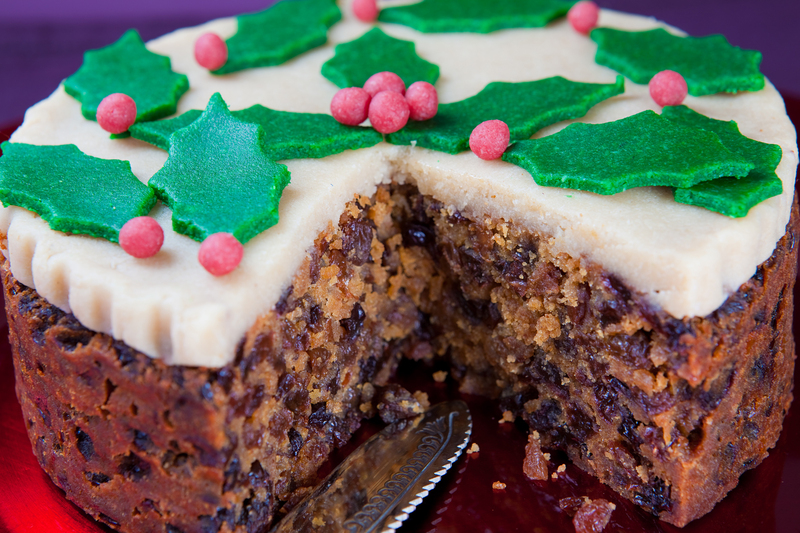 Try out both the Sweet Freedom Syrup and Sweetener in this recipe for a traditional fruity rich Christmas Cake. You will need a deep round cake tin measuring 18cm (7”) in diameter. 1) Place the dried fruit in a bowl and pour over the sherry, stir to coat all of the fruit and then cover and leave overnight. 2) The following day, preheat the oven to 160C/Fan 140C and line the base and sides of the cake tin with non stick baking parchment. Also, make a collar out of several layers of brown paper and fasten around the outside of the tin with string or a paperclip. 3) Cream the butter and Sweet Freedom until pale and fluffy. Mix together the spices and flour and mix a spoonful into the mixture, followed by a little of the beaten egg. Continue adding flour and egg little by little until they have all been mixed in. Finally mix in the soaked fruit and then spoon into the prepared cake tin. Flatten the top with a knife or spoon and bake in the preheated oven for 2 hours or until a skewer inserted in the centre of the cake comes out clean. 4) Leave to cool in the tin for about an hour then transfer to a cooling rack. When the cake is cold wrap in baking parchment and tin foil and leave in a cool place. 5) The cake is best made several weeks in advance to allow it to mature. 1) Remove all the wrappings from the cake and brush the top with the brandy. Leave to soak in for a few minutes. 2) Mix together the ground almonds, Sweet Freedom, almond extract and lemon juice until it forms a soft dough. Knead into a ball. As you knead the almond paste the oil is released from the almonds which makes it easier to handle. 3) Take 225g of the almond paste, place it between two sheets of baking parchment and roll out into a circle the same size as the top of the cake. Remove the top layer of parchment, slide your hand underneath the bottom layer and flip the almond paste over onto the top of the cake. Gently press it onto the top and tidy up the edges. 4) Colour two thirds of the remaining almond paste with green colouring and the rest with red colouring. Roll the green in between two layers of baking parchment and cut out holly leaves. Roll small amounts of red almond paste into balls for the berries. Decorate the top of the cake with the holly leaves and berries. They should easy stick to the almond paste topping but if not, just lightly brush the top of the cake with a little water. If you have always wanted to provide input when new natural foods are developed, now is your opportunity! Yogi tea is extending an invitation to you to help us develop new products before they are sold in stores. We are inviting you to participate in an upcoming taste test of a new natural food product. We want you to tell us what you think.We’ll use what we learn from you to make our products the best that they can be. If you qualify to participate, the products will be shipped to you to taste at your convenience. And to show their appreciation, Yogi will give all who participate in the taste test coupons for two free boxes of your favorite Yogi tea! NOTE: IF YOU HAVE RECENTLY SIGNED UP FOR ANOTHER YOGI TASTE TEST, PLEASE DO NOT SIGN UP FOR THIS ONE. Please respond quickly as only a limited number of people will be able to participate! There is no obligation to purchase if you sign-up, and the information you provide will not be shared. I’m sure every house has its traditions. In my house at Christmas time, there was a Christmas breakfast, an open fire, a boiled leg of ham, erm.. my brother playing Christmas records, and the boxes of crackers and biscuits served in the evening. Not to mention the ominous supply of brazil nuts, dates and satsumas – well, as a kid you just don’t really ‘get’ healthy foods do you? But I’ve just seen some of Crazy Jack’s latest organic ideas, and yes, it includes a box of dates and several varieties of crackers and biscuits. The memories come flooding back. I’m sure Crazy Jack would have done my mum proud. Actually, I have to admit it myself, the crackers do look pretty irresistable. We’re talking about Cranberry Biscuits and Ginger Biscuits. Also, Rosemary & Sea Salt Crackers or Cracked Black Pepper & Sea Salt Crackers, and others besides, all vegetarian. Perfect to serve with a delicious cheese board (which gives me a good moment to mention Calon Wen’s amazing organic Welsh Cheddar and vegetarian Armel cheese, and Simon Weaver’s organic Bries from the Cotswolds – both companies make really outstanding cheese). In the interests of fairness you might like to know that Nairn’s also do an appetising cracker and biscuit selection which is also suitable if you’re vegetarian. The genius behind Crazy Jack is that they champion all foods organic, whilst Nairn’s specialise in oat based baked goods such as the tasty Oaty Bakes or Oat Biscuits with Dark Chocolate Chips. I’ll leave you to decide which variety of cracker you prefer. Most of you will probably like either but, for just some of you, there might be a flavour which has all the appeal of someone playing White Christmas first thing in the morning. It was only a small study, but trying it out for yourself isn’t going to cost you anything. A spring water company asked 53 men and women to drink 1.5 litres of water a day for 2 months. They asked half the volunteers to drink their water and half another premium brand. Camera analysis used at the start and at the end of the study showed that wrinkles had reduced on average by about 20% and in women aged 24-43 by 24%. Not a bad result. It’s worth saying that the spring water company did fare slightly better overall, but no one really knows why the water had the impact it did. We all know that water is good for the skin. Perhaps spring water, with its minerals and nutrients, is better still? To try spring water bottled at the Brecon Beacons or at the Deveron valley in Aberdeenshire go to the Drinks section of GoodnessDirect. My personal favourite is One Water who give their profits to buy water pumps in Africa. Imagine being given chocolate but not being able to eat it?? It’s a regular experience for many with an intollerance. But Moo Free are here to save the day! Now imagine being given a chocolate with no milk in it that tastes like yuk! That happens too – and it’s possibly worse than having to say no to chocolate in the first place. The Moo team have worked hard to find the perfect recipe for a vegan milk chocolate using rice milk instead of cow’s milk, which means it is lactose-free too (and gluten free and no soya either). The real plus is that, unlike many chocolate companies, Moo Free have absolutely no dairy on their premises anywhere, so you can be confident that there’s no cross contamination, and your children can get excited about the countdown to Christmas without disappointment. 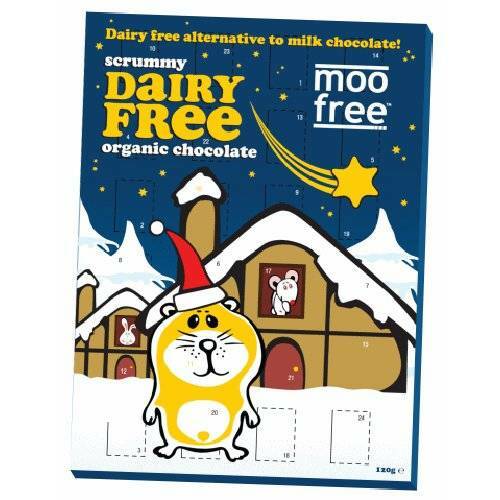 There’s an advent calendar and Moo Free also make chocolate drops and chocolate bars to enjoy. Their gift box of chocolate pralines means they can’t avoid nuts (and they also contain soya), but there’s no egg or wheat or milk to be seen at all. Moo also get bonus points for working with fair trade and organic products. Are you stuck for what to do for Christmas dinner? What about a traditional Wellington with trimmings? Except this one is vegetarian… and will make you look like you’ve gone to much more effort than you really have. The best thing about this recipe is that it’s easy to adapt however you wish – if you really wanted you could thouroughly cheat by just wrapping Redwood’s Cheatin’ Turkey with cranberry stuffing up in ready roll puff pastry – it’s all up to you! This is a recipe with stuffing on the inside and the outside of the Quorn – full of festive flavour. And of course, it can be prepared the day before and quickly cooked in the oven. 2. Chop the mushrooms. Fry the mushrooms and garlic with a knob of butter mushrooms for about 10 minutes. Season and stir in the parsley. Leave to simmer gently. 3. In a second pan, cook the onions in butter until soft. Remove from the heat and leave to cool. 4. Put the cranberries, chestnut puree and breadcrumbs into a bowl. Add seasoning and stir in the onions. 5. Roll out the pastry until it is big enough to comfortably encase the Quorn Roast. 6. Give the Quorn a flat top and bottom by slithering off a small slice off the base and top. Then, slice the Quorn length-ways down the middle to create a top half and bottom half. 7. Spread most of the chestnut and cranberry mix in an even bed over the pastry – leave a margin at the edges for sealing the pastry together. 8. Place the bottom piece of the Quorn roast onto the pastry. Cover it with a thick layer of mushrooms. Place the second piece of Quorn on top. 9. If there is any chestnut and cranberry left, use this to cover the top of the Quorn. Then encase the Quorn with the pastry. Seal the edges with an egg and milk mixture and brush over to glaze the pastry. 10. Place in the oven and bake for about 45 minutes to an hour. Serve slices of Wellington with buttered potatoes and Brussels sprouts. Sing carols, eat gingerbread and sip wassail punch – that was how the Victorians would celebrate Christmas. A centrepiece of the gathering would be to set the punch bowl on fire. A roasting fire on a cold winter night and a richly aromatic warm drink in hand ready to toast your friends’ good health? Or a reviving stiffener for when you’re well wrapped up, strolling through a Victorian Christmas market, while the carollers sing in the background?… Most European nations still know how to make their own version of the hot punch. The recipes vary from family to family, and nation to nation, but the central idea of Christmas punch is that it’s a hot spiced drink sipped to keep the winter chills at bay. 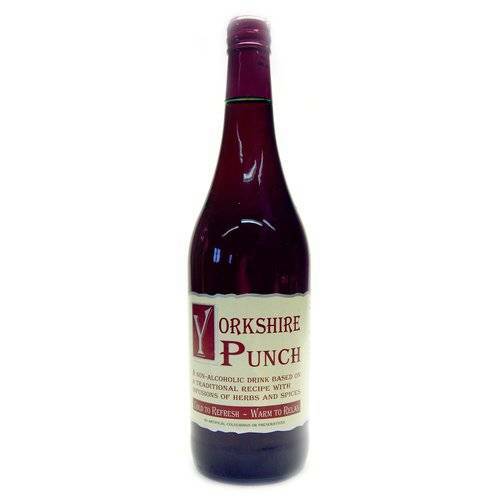 Yorkshire Punch is made from an old traditional recipe. It’s herbs and natural flavours are carefully chosen for pleasure to relax and to cheer you as intended. As a non-alcoholic drink, it can be served cold to refresh or warm to relax. Rochester’s Organic Hot Toddy is another punch that’s non-alcoholic (which means you can your own tipple if you choose). While it’s made with ginger it has a fruitier blend to the Yorkshire’s rich warming spice version. But the main point about drinking punch (as opposed to cocktails) is all about friendship. Make sure you do it with friends, preferably with a ‘Loving Cup’, and don’t be afraid to begin a song or two. For other seasonal drinks such as Great Uncle Cornelius Finest Spiced Ginger, check out GoogleDirect’s drinks shelf to find spicy and sparkling non-alcoholic drinks.